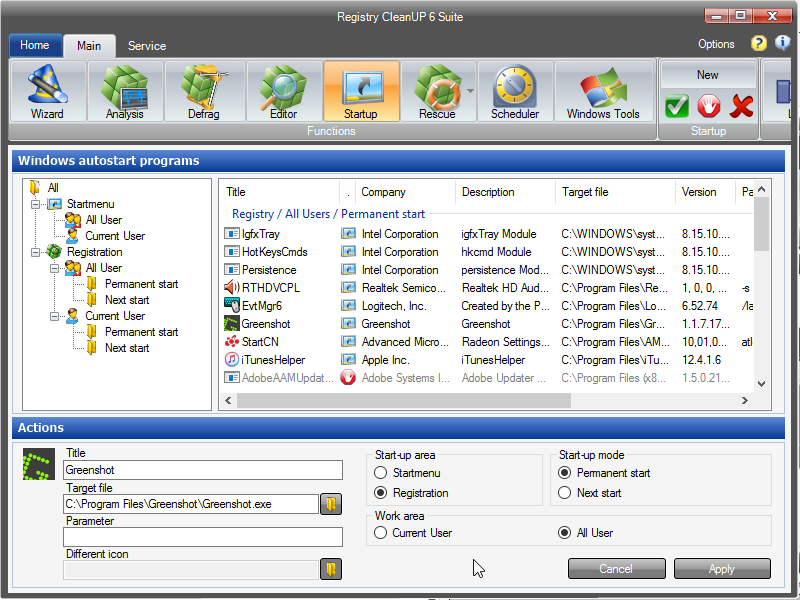 The Registry CleanUP 6.3 suites conveniently removed with just one click useless and obsolete registry keys in a few seconds. Through the support of modern processors with multiple cores, the application does the Registry cleanup is many times faster than programs from other vendors. 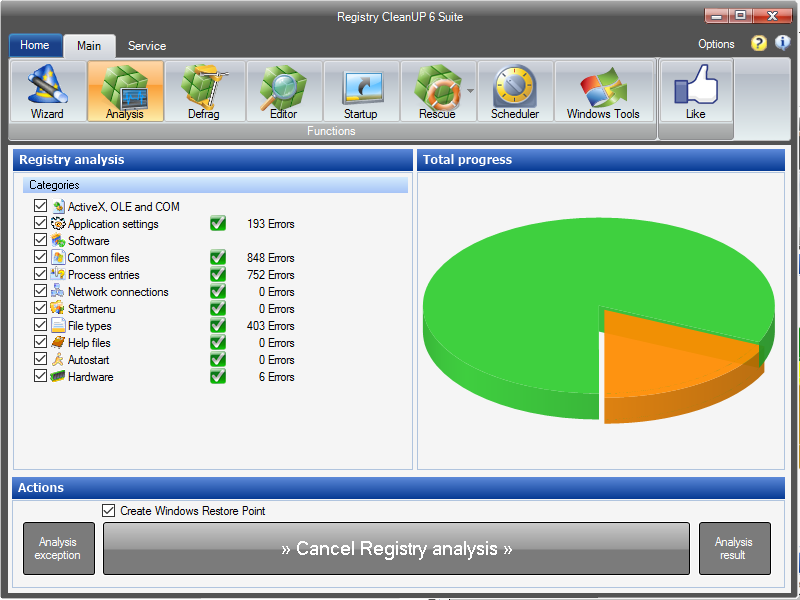 Instead of deleting errors directly, will be displayed the Registry analysis report. You can decide whether the errors should be removed. As protection for a worst case scenario, creates the App a Windows restore point. 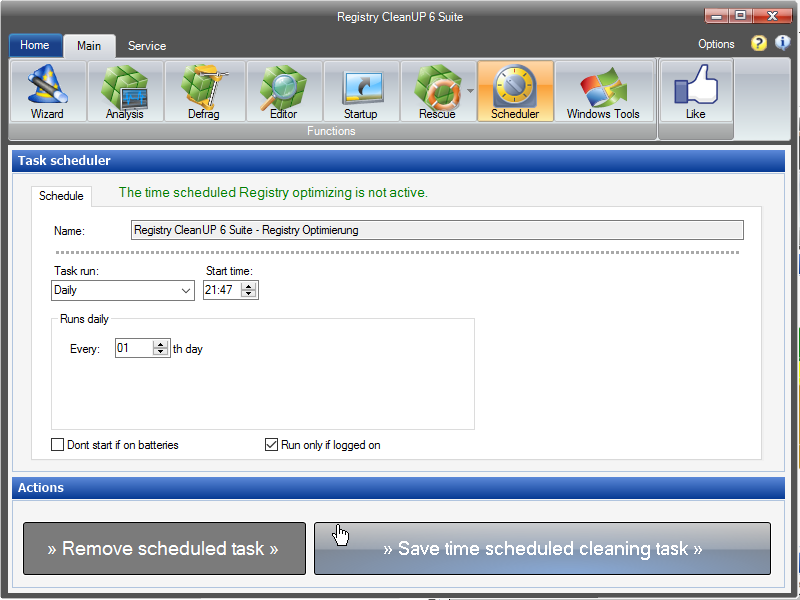 The registry cleaner is more than a registry clean-up. Thus, it is also a registry defragmentation, a startup manager and registry editor. The Startup Manager is able to isolate and disable Windows start-up programs. With this function, you have a direct impact on Windows start-up performance. Features of the Registry CleanUP! 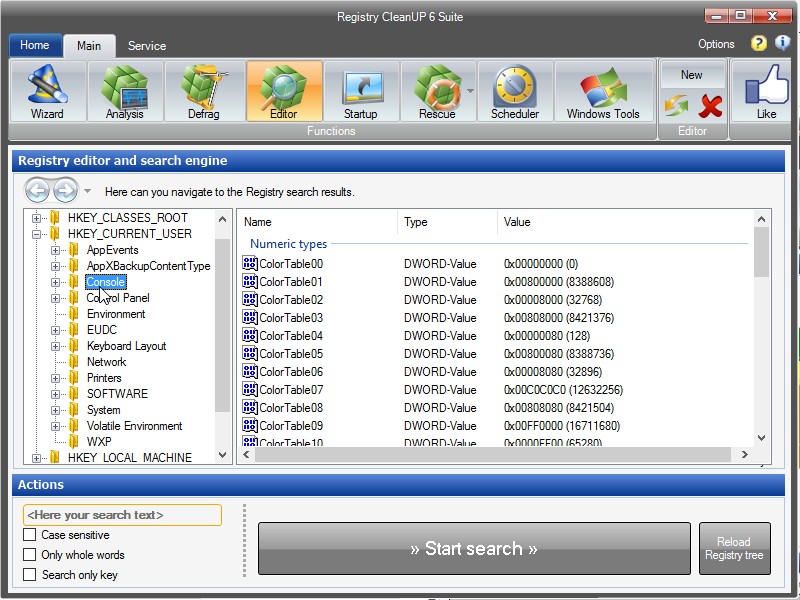 Clean-up and defrag the Windows Registry with one click. Disable Windows start-up programs and push the performance. Search in million of Registry keys for words, faster than Regedit. 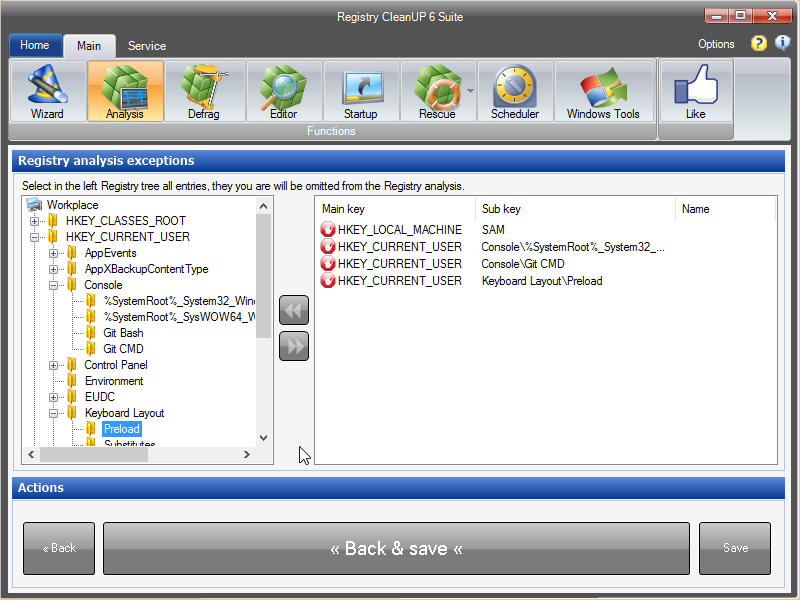 The App will be analyse the Registry in the background and inform with the integrated Registry background error alert. Find and delete errors on the compter harddisk and optimize the loading performance with the integrated defragmentation tool. Test the application right now for 30 days for free. Other users rate the app! This program appears to be very beneficial.